Kalakand milk burfi recipe a traditional Indian sweet also known as milk cakes ! When is Kalakand Milk Burfi made? Mostly made on Janmashtami (Lord Krishna’s birth), Durga puja, Raksha Bandhan, Diwali and some more festive occasions in India. This sweet is soft, tempting, healthy, tasty and is my favorite. There are lots of ways to make Kalakand Milk Burfi. However like usual I have chosen the tough way to make it. So please be patient while making this milk barfi. This is purely made with milk, chenna and sugar. 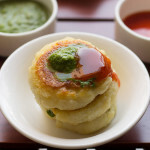 What is chenna its Indian Cottage Cheese made home. You could also call use ready cottage cheese from the market. However making chenna (paneer) home is different fun. 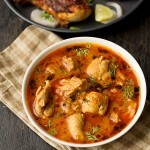 I have changed the pictures of this recipe as didn’t liked the previous pics. So I have slightly modified the recipe and pictures. 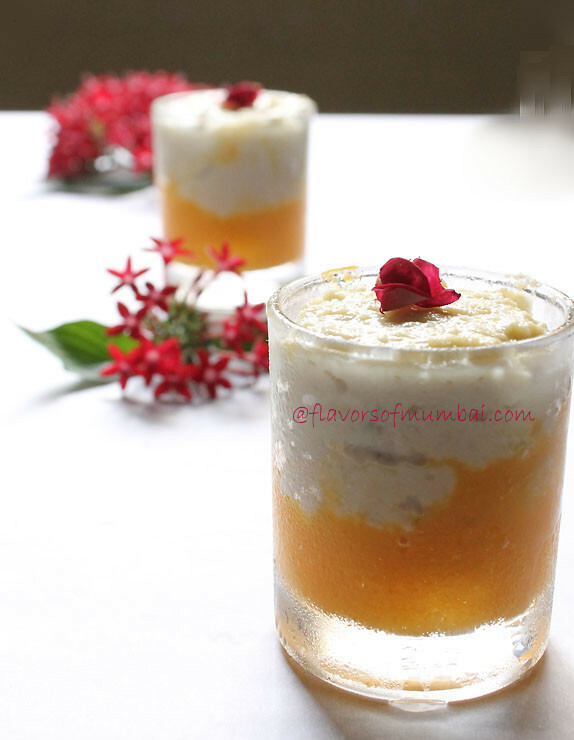 Honestly I had great fun styling kalakand and mangoes just give a tangy sweet flavor. Loved the dessert. Do try something unique on occasion of Raksha Bandhan! 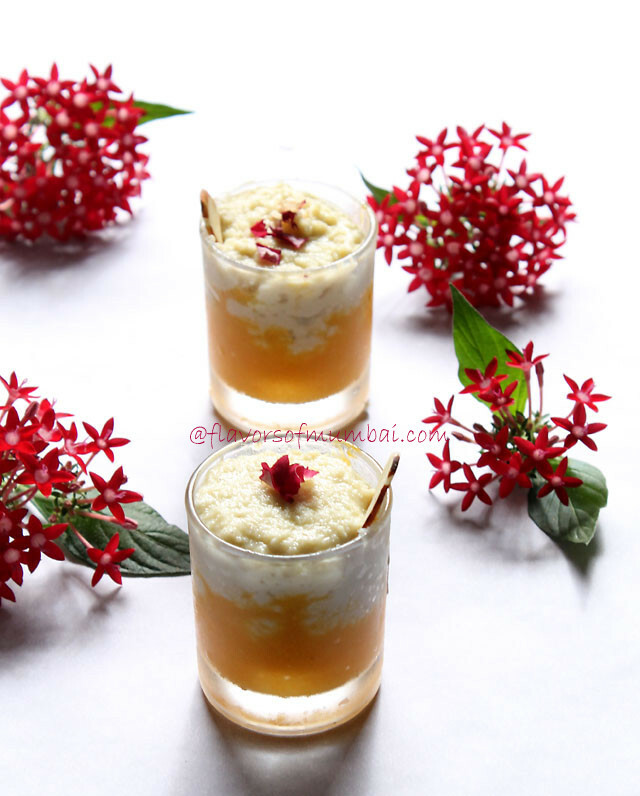 Kalakand Milk Burfi step by step recipe follows. 1. 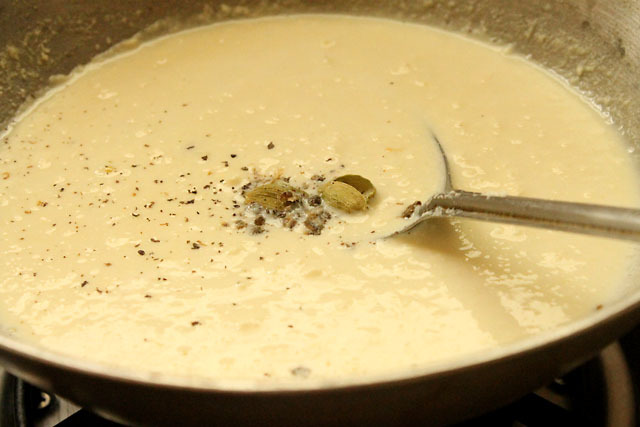 Take 600 ml milk in a heavy bottomed sauce pan. Keep the heat on medium Or low mode. Allow the milk to boil. Once milk comes to a boiling point. Pour lime juice to it. Keep stirring for a minute more. 2. Switch off the gas and let the chenna settle down. You can allow the mixture to cool down. Now take a muslin cloth. Place it on a vessel. Ensure muslin cloth covers the vessel from all sides. Now pour the chenna mixture over the cloth. Sieve through the cloth and remove the excess water. 3. You can keep a heavy object on the chenna this would help to extract excess water from it. 4. Your chenna (cottagecheese) is ready. 5. 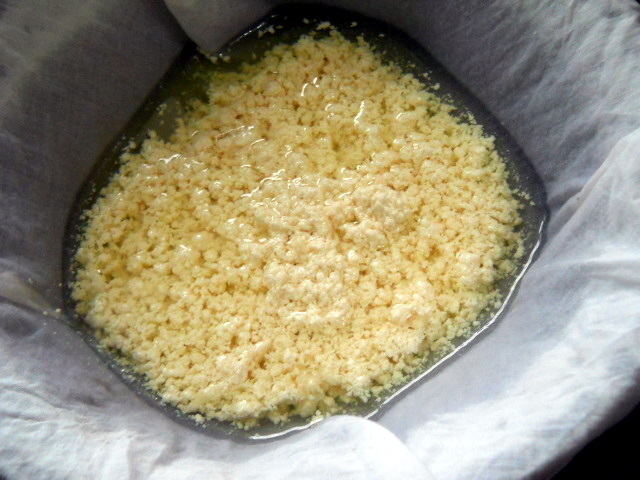 Unwrap the cloth and mash the paneer into tiny crumbs. Keep it aside. 6. Take another heavy bottomed saucepan. Add rest of 400 ml milk to it. Keep heat on medium mode. 7. 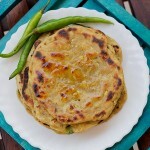 Add homemade fresh chenna to it. Also add sugar. Keep stirring with a big spatula Or spoon until sugar dissolves. 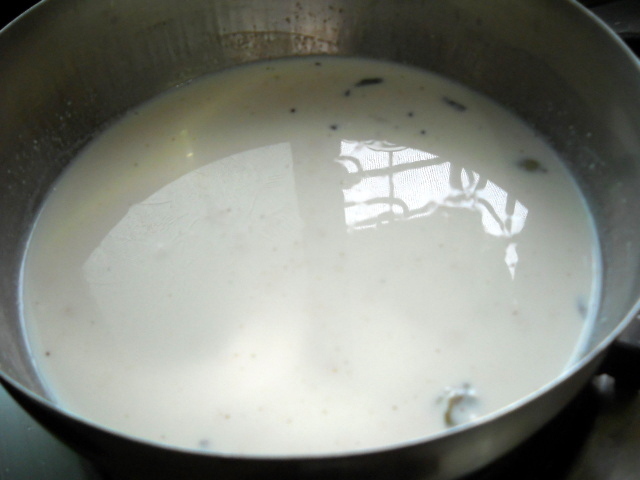 Add milk powder now and keep stirring one of the most difficult part. 8. 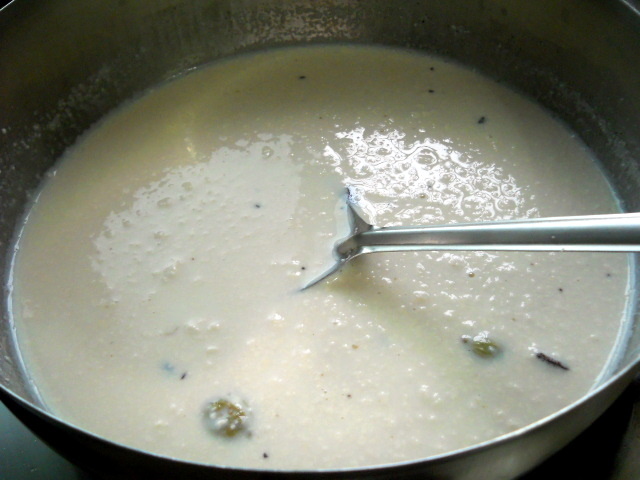 Now let this mixture boil for another 20-25 mins Or until milk thickens and resembles soft lumps. 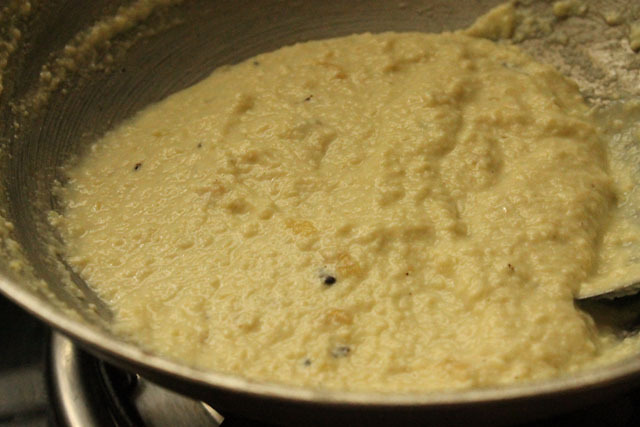 Also keep stirring and be patient :)… Lastly add salt, cardamom-nutmeg powder to it. 9. Also once it’s done the mixture will start leaving the vessel edges. Pour this mixture into a greased plate Or vessel. 10. Now cut them into diamond shape Or square shapes. Decorate with chandi (silver) varak Or with some nuts. I never had varak available at home hence topped with rose petals. Alternatively you could take small glasses Or cups. Add frozen mango puree upto half glass. Then add the kalakand in the rest of the glass. Place in the fridge for an hour Or so. Your Kalakand Milk Burfi is ready. Serve chilled on a platter with other festive sweets. Cut them into diagonal squares or diamond shape. If you are looking for more festival sweets then do check gulab jamun, mohanthal, boondi ladoo, shankarpali ,phirni, basundi and nankhatai. Kalakand is sweet, soft, tempting, healthy, tasty and is my favorite now. his is purely made with milk, chenna and sugar. 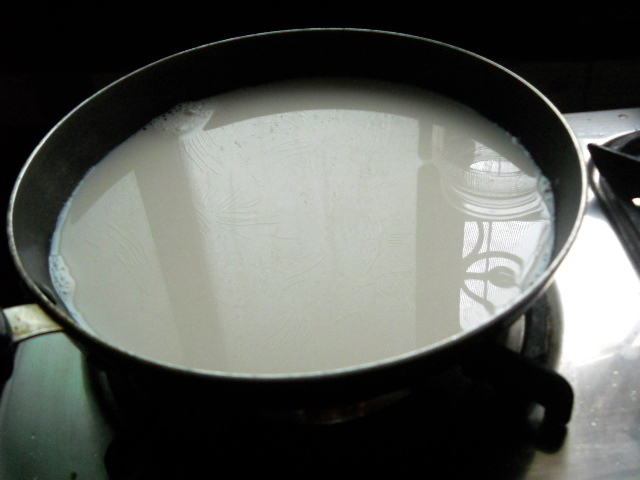 Take 600 ml milk in a heavy bottomed sauce pan. Keep the heat on medium heat Or low mode. Allow the milk to boil. Once milk comes to a boiling point. Pour lime juice to it. Keep stirring for a minute more. Switch off the gas and let the chenna settle down. You can allow the mixture to cool down. Now take a muslin cloth. Place it on a vessel. Ensure muslin cloth covers the vessel from all sides. 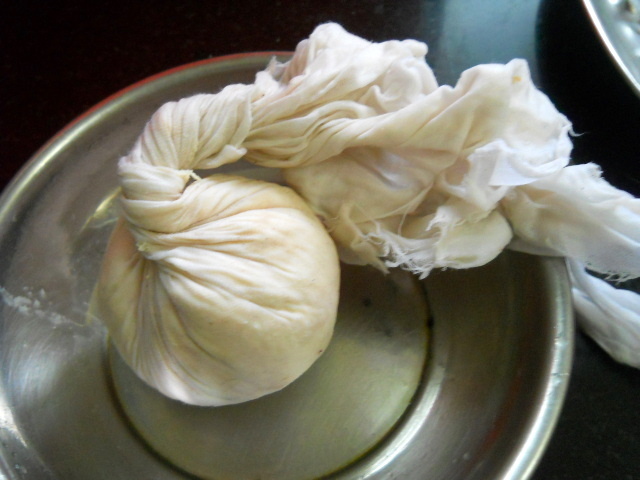 Now pour the chenna mixture over the cloth. Sieve through the cloth and press out the excess water. You can keep a heavy object on the chenna this would help to extract excess water from it. Your chenna (cottage-cheese) is ready. 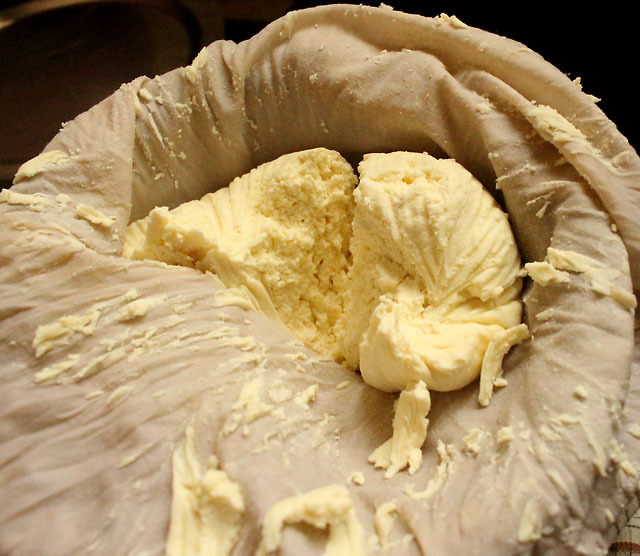 Unwrap the cloth and mash the paneer into tiny crumbs. Keep it aside. Take another heavy bottomed saucepan. Add rest of 400 ml milk to it. Keep heat on medium mode. Add homemade fresh chenna to it. Also add sugar. Keep stirring with a big spatula Or spoon until sugar dissolves. Lastly add salt, cardamom-nutmeg powder to it. Also once it's done the mixture will start leaving the vessel edges. Pour this mixture into a greased plate Or vessel. Now cut them into diamond shape Or square shapes. Decorate with chandi (silver) varak Or with some nuts. You could also decorate with rose petals. Alternatively you could take small glasses Or cups. 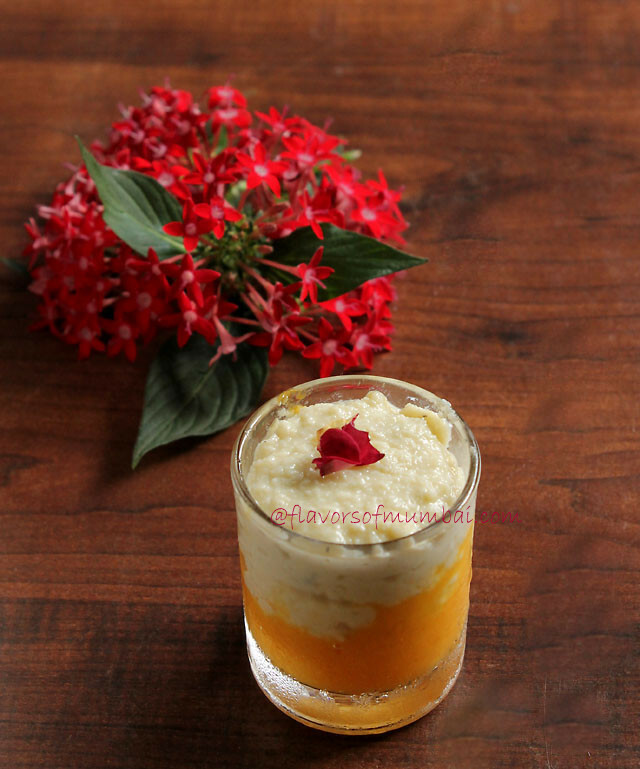 Add frozen mango puree upto half glass. Then add the kalakand to the rest of glass. Place in the fridge for an hour Or so. Serve chilled on a platter with other festive sweets. Cut them into diagonal squares or diamond shape. 1. 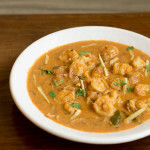 If you are lacking on time you could use readily available malai paneer and follow the same procedure. 2. Also you could use 4 to 5 tbsp condensed milk instead of sugar. 3. Some people also add saffron infused milk for yellow colored kalakhand. 4. If you want more quantity just double up the quantity and make the kalakand. 5. I have added mango puree it's optional. 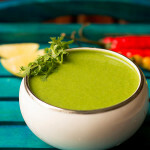 You could add berry puree, orange puree, banana puree, avocado puree any fruit puree you like. But the puree has to be frozen. Wanted to know if kalakand can be made with fresh cream or ghar ki malai ? Will it give the same result? Disha malai bought from store have different texture and home made has a different texture. Better would be to use a full fat milk. love kalakand, always make it whenever milk is about to go bad, love your presentation too. visit me when you get a chance. 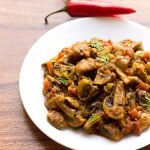 I always knew it was an easy dish but never knew the exact steps for making kalakhand. Thank you for sharing this. Its much easier in my head now. 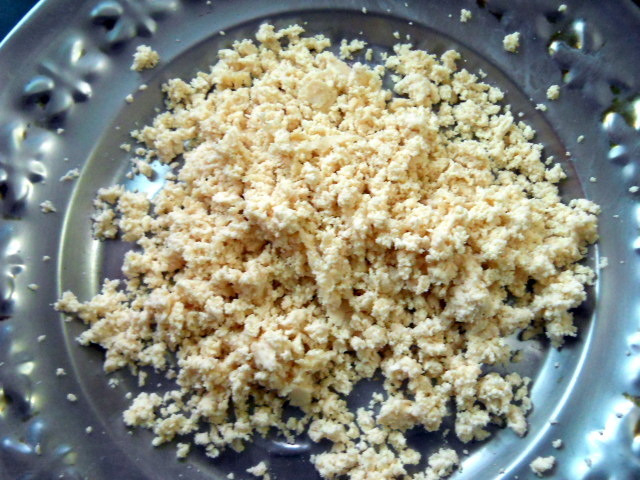 hey..,,i never knew that making kalakand would be such a simple task…. actually my dad loves kalakand so m gonna try it really soon … hope he would love it !! This is such an interesting dish. Love the way you’ve made the cheese, and the lime is a lovely flavour in this dessert.